Store closings expected. CEO says ASI brands, including Fuji, SE, Kestrel and Breezer, "will survive." 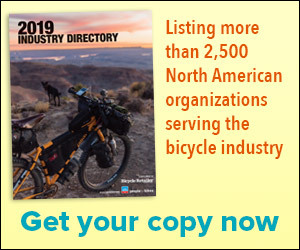 CHAPEL HILL, N.C. (BRAIN) — Advanced Sport Enterprises, the 2-year-old company that is parent to the Performance Bicycle retail chain, Bike Nashbar and distributor ASI, filed for Chapter 11 bankruptcy protection Friday morning. PHILADELPHIA (BRAIN) — Advanced Sports Enterprises is consolidating some back end functions at its two e-commerce brands, Nashbar and Performance. The two brands are moving toward operating on the same inventory system and consolidated warehousing. Happy Christmas, war is over. PHILADELPHIA, PA (BRAIN) — The dispute seems to be concluded, quietly, over use of the “Roubaix” trademark on bicycles, which involved two U.S. bike brands and one Canadian retailer and wheel vendor. CALGARY, Alberta (BRAIN) — Cafe Roubaix owner Dan Richter said on the store's Facebook page Tuesday that Specialized president Mike Sinyard had called him to discuss a much publicized trademark dispute between Specialized and the store. BOULDER, CO (BRAIN) — Specialized Bicycle overstepped its bounds when it registered the Roubaix trademark in Canada and then tried to prevent a Calgary retailer from using the name, Advanced Sports International’s CEO told BRAIN on Monday. COCHRANE, Alberta (BRAIN) — A Canadian retailer says Specialized Bicycle is suing him over his use of the name Roubaix, which Specialized has trademarked in Canada.